Following captain Jason Holder's one-match Test ban for his team's second Test slow over rate, fiery fast bowler Shannon Gabriel has been controversially slapped with a four-match one-day global suspension by cricket's world governing body, the ICC, after being found guilty of player abuse. 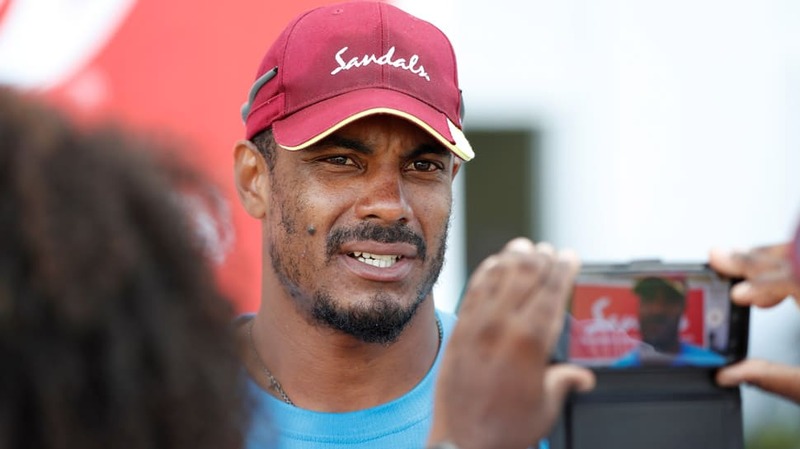 Gabriel was charged by the ICC on Tuesday after he was warned by the on-field umpires in the third Test in St Lucia for comments made towards Root. He has also been fined 75% of his match fee.The incident happened on the third day of the Test, with stump mics picking up an interaction between Gabriel and the England batsmen, which ended with Joe Root stating that "there's nothing wrong with being gay". Root said he had acted instinctively after hearing comments he profoundly disagreed with. Gabriel admitted to using abusive language, but in a stunning twist, The Telegraph reports Gabriel denies saying anything homophobic. Root refused to reveal what Gabriel said, but explained that "as a player, you feel you have responsibilities to uphold on the field and I stand by what I did", according to The Guardian. He's a good guy who plays hard cricket and is proud to be in the position he is. "I think it is fair to say that neither of us ever expected the issue to escalate to the point that it has". While another added: "Well said Joe Root, no room for that attitude in sport. The battle was a good contest". However, Gabriel had not been named in the squad announced last week for the first two matches. "With the addition of these three demerit points, he has reached the threshold of eight demerit points, which, pursuant to article 7.6 of the Code, have been converted into four suspension points". After meetings in Washington last week ended in a stalemate, officials kicked off another round of talks in Beijing . Extending the deadline could pave the way for a potential deal-clinching meeting with President Xi Jinping .